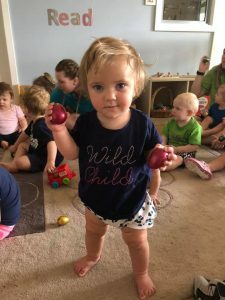 Every Monday at our Bolwarra Tillys centre, Kristi from Rhythm Station provides a fun & interactive lesson for our two nursery rooms. 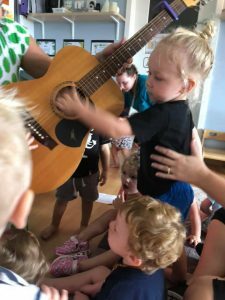 These lessons consist of instruments, stories & sing-alongs. 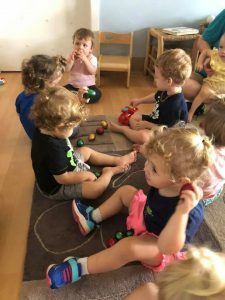 Kristi teaches us different ways to experiment using our voices and bodies to create sound, pitch and tone. 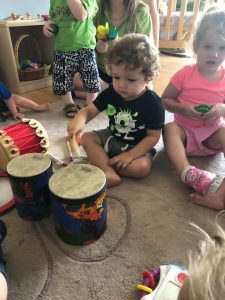 We LOVE playing the musical instruments Kristi brings each week as we discover and explore the new and different sounds. 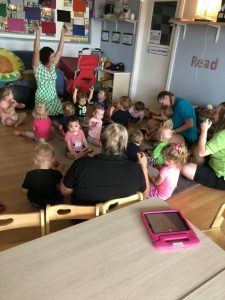 Each week, Kristi also provides educational information for our educators to recognise the benefits of music as they continue to implement these throughout the week. 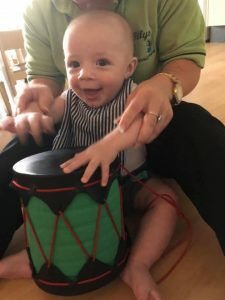 There are many benefits to exploring music with children, including developing the musical, sensory and sound pathways in the brain, the introduction of new words and tones of voice, as well as motor development and balance through rhythm and movement. PreviousPrevious post:Let’s Get PhysicalNextNext post:Easter Competition T&Cs.